Albin Counter-Gambit with a3, e3 and g3 - Chess Gambits- Harking back to the 19th century! 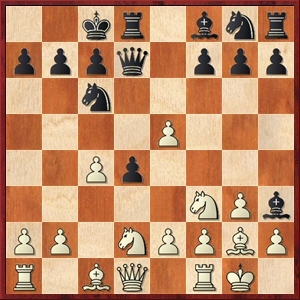 Accepting the gambit and following up with a3 and/or Nbd2, with the aim of preventing ...Bb4+ and rounding up Black's d4-pawn, has become established as White's most critical response, but White has plenty of other responses, some of which are quite good, but all of which allow Black reasonable counterplay and at worst just a slight theoretical disadvantage. White has various ways to decline the gambit at move 3 but none of them are convincing. Black can generally choose between 3...exd4, which usually equalises, or the more ambitious approaches stemming from 3...e4, though these can leave Black's e-pawn weak. If 3.cxd5 Qxd5 4.dxe5 Qxd1+ 5.Kxd1 Nc6 then Black gets very good compensation for the pawn in spite of the queen exchange. White should avoid 4.e3?! because of 4...Bb4+ 5.Bd2 dxe3!, with the idea of the underpromotion trick 6.Bxb4? exf2+ 7.Ke2 fxg1N+. Instead White's best is 6.fxe3 and Black gets at least an equal game with 6...Qh4+ 7.g3 Qe4. Slightly better is 4.Nf3 Nc6 5.e3, but following 5...Bb4+ 6.Bd2 dxe3 7.fxe3, but Black chooses between 7...Bb4+ and 7...Qe7 and gets a good game. If White wishes to undermine Black's d4-pawn with e2-e3 and encourage a queen exchange on the d-file, it is better to play 4.a3 first, preventing ...Bb4+, and then 4...Nc6 5.e3 follows. Here Black can get compensation for the pawn by playing 5...Be6 or 5...Bf5, whereupon 6.Nf3 dxe3 7.Qxd8+ Rxd8 8.Bxe3 follows. 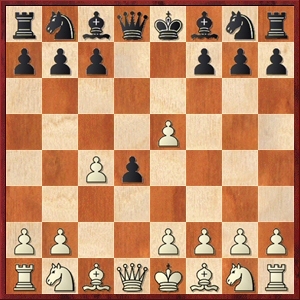 However, White may be able to get an edge against 5...Bf5 in particular, because although the bishop on f5 gives Black queenside counterplay, particularly on the sensitive c2 and d3-squares, it takes the f5-square away from Black's knights. Probably most reliable is 5...Nge7, intending 6.Nf3 Nf5 (or 6...Bg4) which gives Black good compensation for the pawn. After 4.Nf3 Black normally continues 4...Nc6, since 4...Bb4+ 5.Bd2 is now quite awkward for Black. The old main line then runs 5.g3, which is probably good enough to give White a slight edge, but with some counterplay for Black. Black can launch a crude kingside attack against this with ...Be6/f5/g4, ...Qd7 and ...0-0-0, with the idea of ...Bh3 exchanging off White's light-squared bishop and pushing the h-pawn. 5...Bf5 is more reliable than 5...Bg4, because after 5...Bg4 6.Bg2 Qd7 7.0-0 0-0-0 8.Qb3! White intends Rd1, rounding up the pawn on d4. In the same variation following 5...Bf5, the bishop on f5 takes some flight squares away from the white queen and so Black can get good play with 8...a6, and then if 9.Rd1?? then 9...Na5 wins the white queen. 5...Be6 can be met by 6.Bg2!? encouraging Black to take on c4, at the cost of time and the initiative, and envisaging meeting 6...Qd7 with 7.0-0 0-0-0 8.Qa4 although Black retains decent hacking chances on the kingside here. Objectively White may be slightly better but these positions are attractive for exponents of the black side who like to have the initiative and attack. For example, 9.Qa4 Kb8 10.Rd1 Be7 prepares to play ...h7-h5-h4. A rather different approach for Black is 5...Nge7, favoured by Alexander Morozevich, which generally intends ...Ng6 and winning the pawn back. It can lead to complications after 6.Bg2 Ng6 7.Bg5, attempting to make it difficult for Black to regain the pawn on e5, for example 7...Qd7 8.e6!? fxe6 9.0-0 e5, or 8.0-0 h6 9.Bf4 Nxf4 10.gxf4 g5, with board-wide chaos and equal chances for both sides. The main snag with this variation is that White can let the pawn go and strive for a riskless edge with 7.0-0, with the idea 7...Ngxe5 8.Nxe5 Nxe5 9.b3 (Ivanchuk-Morozevich, Astana 2012).